Call of Duty: WWII has been officially announced by Activision, following a bunch of rumors and suggestions earlier on predicting the return of the franchise in what would be a visit back to its roots; the original Call of Duty. The first COD title was released back in 2003, and gave players a taste of the British, American, and Soviet theaters set in World War 2. However, Activision only returned to that era in 2008 with COD: World at War, but since then has instead focused on advancing through the age of modern era warfare. No doubt all COD titles have always been special in their own way, but COD: WWII has its own special place in the franchise’s almost-decade old history. Developed by Sledgehammer Games, Activision hasn’t released any additional details on the title, instead teasing us with a promotional image. 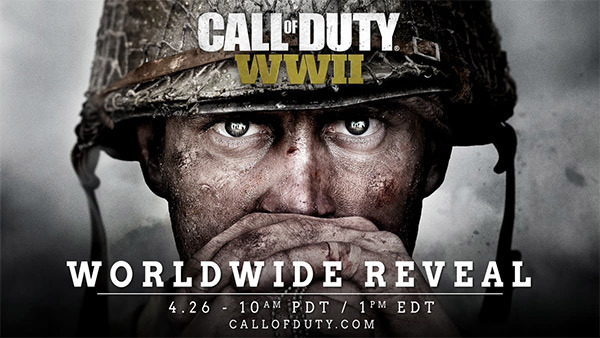 Well, that and the fact that it will be revealing more about the game on this Wednesday, April 26 during the Call of Duty: WWII Worldwide Reveal Livestream. 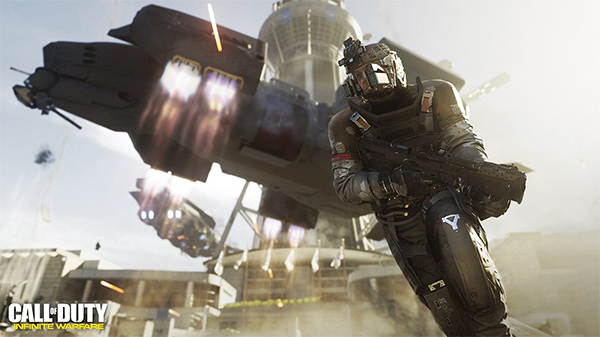 The latest WWII themed first-person-shooter comes in at a time when last year’s Infinite Warfare title – as noted by Activision while addressing investors – didn’t perform as per expectations and that the sci-fi futuristic feel didn’t really vibe well with gamers or COD fans for that matter. For those wondering about Sledgehammer Games and its credentials, the developer has been responsible for the popular Dead Space game, and has also been a part of the popular COD: Modern Warfare 3 which came out in 2011. As always, we will keep you updated with all the Call of Duty: WWII news as and when it becomes available. For now though, make sure to mark your calendars for the 26th of April. I’m guessing that they FINALLY realized that no one wants to fly around with jet packs and run up walls. I haven’t purchased a COD game since Black Ops 2 for that exact reason.